Here’s our 5th annual HappyList for Bristol, naming people who help make Bristol a happier place to live, work and flourish as our Happiness Champions for 2017. Our list, as always, is alphabetical because each and every person here deserves equal credit for increasing the happiness of others in their own different ways. These folk don’t seek the limelight and their work isn’t spectacular – but by making our communities more welcoming, friendly and supportive, they have a powerful effect on Bristol overall. The 2017 live was compiled here live online and we offered the story to our local media which was published in the Bristol Post on the 10th January 2018. Our partners at Action for Happiness in Brighton published their third list on 11th December, which you can see here and you can see all Bristol’s past Happiness Champions from 2013-16 here. We’re looking for a sponsor to help us create a national set of place based HappyLists in 2018. If you’re interested, please write to mike@happycity.org.uk. Dawn started Bristol Rocks in August 2017 near Whitchurch. She simply decorated rocks, then ‘hid’ them in public to brighten someone’s day. She inspired a craze, with over 27000 facebook posts showing how children got creative, leaving their screens to hide rocks and hunt for others whilst also raising money for the Poppy Appeal. Rock solid happiness. Bryony is passionate about giving women and others who’ve been oppressed or who face discrimination due to gender identity, space to find their voices and represent themselves. She helped set up SeeItFromHer+ to explore creative ways of building understanding and empathy in safe spaces where people can connect, listen and break down barriers. Bryony and the incredible group she’s part of aim to help people find power, kindness, and love. That’s a happiness bullseye! 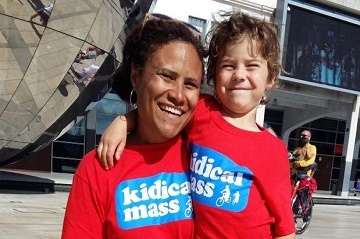 Having a young family can be a real barrier to cycling, but Zoe was inspired by an american idea called Kidical Mass to set up a scheme which brings families together in Bristol. People get to try out different bike adaptations so they find out what works for them, while gaining confidence and making new friends. Happiness on wheels! Crispin, a qualified physiotherapist with the NHS, spends his days helping people manage pain. 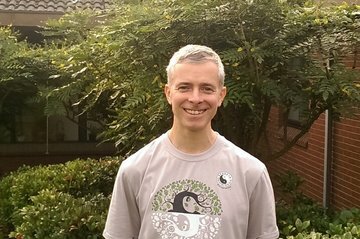 In his spare time, he offers Tai Chi sessions to improve people’s health as a volunteer with the Taoist Tai Chi Society of Great Britain, a registered charity. Mark lost his wife 10 years ago and decided to do some good in her memory. So he rallied friends to organise and walk 5 marathons in 5 days, raising money with these and other activities for Headway Bristol. His efforts produced £20,000 for the charity, but also brought thousands of people together with each other and the issues of brain injury. 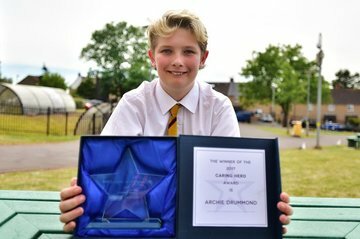 Rightly recognised as a ‘Caring Hero’ in Bristol’s Young Hero Awards this year, 12 year old Archie Drummond is truly remarkable. As reported in the Bristol Post, Archie cares for both parents, and his disabled younger brother whilst keeping up with his schoolwork. In all this, he still finds time to be kind to others without ever a word about his own problems. Eva and Becky set up the Babybank Network to help mothers in need to get the essentials to look after their babies. Their inspiration hit such a chord that there are now 50 dedicated volunteers (mostly mums on maternity leave) who put in the hours and effort to alleviate child poverty and make sure no-one goes without. Teena (pictured centre) has worked in the caring sector for over 30 years. In a home for the elderly first and then in the community. She retrained to work with adults with challenging behaviour. She now works in day centre for adults with learning difficulties. Teena is loved and respected by all who come into contact with her and is well known for her soft voice and big heart. She is passionate about her work often going above and beyond for her service users. Teena ensures that everybody has a voice and is treated fairly. 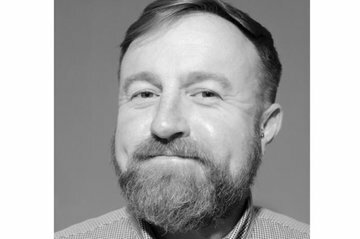 Gary runs the coop food store in Downend, open 96 hours a week where he volunteers extra time to support the shop’s 3 local ‘Good Causes’ AND managed to make time to help out Ridge junior school at Yate, the Alzheimer’s society and the epilepsy society. He’s already lined up to help with projects at Frome valley and Christ church primary schools in 2018. He’s a powerful happiness generator! 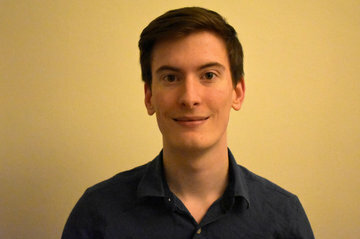 Thomas was UWE’s ‘Sustainability Student of the year’, helping students and the Students Union deal with sustainability issues. His efforts helped the university win an international ‘Green Gown Award’. He also found time to bring people together in a community garden project. Now that’s good natured happiness! 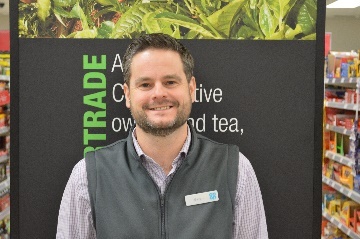 Barny is the inspiration behind the Square Food Foundation, which shares his life-long love of the world of food and cooking in ways that brings connection, confidence and meaning to people’s lives. 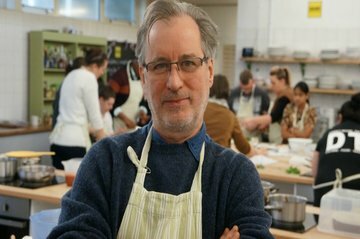 The foundation produces food for lonely and isolated people while transforming things for people who’ve not enjoyed all the advantages in life as they gain new skills and access to a world of opportunity. Kim helps everyone she meets to build their self esteem and inner confidence. She has a knack for connecting with others to help them find better ways forward in life. Compassionate and warm, her 52 ways to feel good with the Hound of Happiness, is a real gift to happiness. James Lucas and Colin Fan set up The Bristol Bike Project in 2008 to help those in need be independently mobile. Having a form of affordable transport makes a massive difference both to well-being and opportunity for those marginalised at the edges of society and their vision has inspired hundreds to help out. 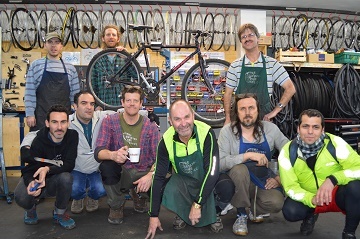 Over the years a huge number of volunteers have re-built a vast number of unwanted bikes, and each one, improving a life. James, and all those who’ve joined him help happiness go around! David feels technology is a human force of nature. 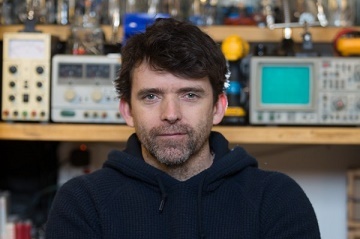 His studio Rusty Squid gets scientists, engineers, designers, and artists to work together, using robotic technology in playful ways. The results are used in public to get people thinking about the things we make and our relationship to both technology and nature – an invaluable public happiness service for all concerned’. 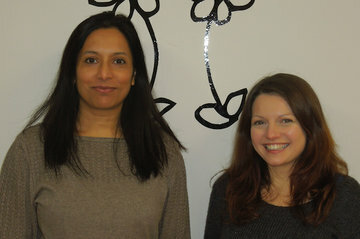 Zakiya and Jasmine bring a fizz of energy to all they do, lifting people along with their enthusiasm. 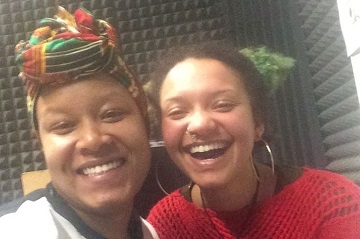 One minute they’re on air at Ujima, next they’re Green & Black Ambassadors getting more non-white Bristolians to be environmentally active, and blink again, you’ll find them spreading their can-do positivity around Easton and Lawrence Hill for Up Our Street. What a duo! 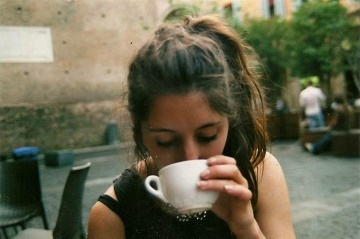 Raluca saw potential in a badly neglected south Bristol spot known locally as ‘the tip’. She decided to do something about it, marshalling a crowd of volunteers who transformed it into a welcoming berry maze within 3 months. Raluca’s efforts at the maze and on the Malago Greenway grows a sense of local pride which bears lots of happiness fruit. 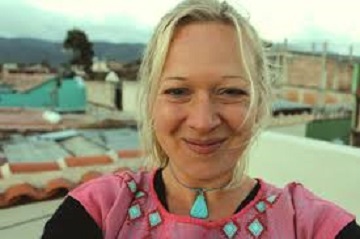 Naomi Millner was inspired to set up Bristol Hospitality Network in 2008 by volunteering with Bristol Refugee Rights when c.450,000 people were living destitute as asylum seekers in the UK. Chairing the BHN trustees for 6 years, her passion for popular education and social empowerment has continued to grow as she grows the happiness (and leadership skills) of others. 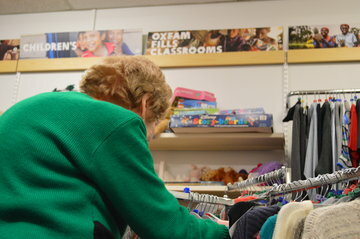 Joyce has been volunteering with Oxfam for 50 years in the charity shop in Cotham. 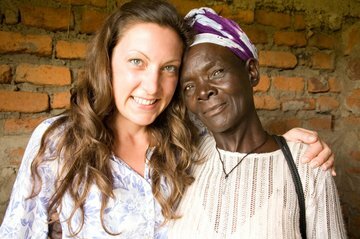 Ask her why she’s stuck it out for so long, and she’ll simply say ‘I love it that Oxfam helps people to help themselves’. She’s a long lasting happiness champion! 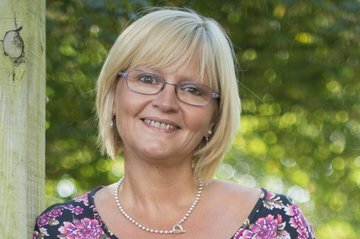 A Care and Support West Awards finalist, Nicola works at National Star College, helping people with disabilities to realise their potential. Being part of the team, she strives to draw out the full potential of young adults who in previous years would have been ignored or disregarded. She works to ensure that the young adults she helps are able to take every advantage available to them and beyond. Amy is kindness and warmth personified. An occupational therapist for 13 years now, she’s been spearheading the efforts of the Marmalade Trust to fight loneliness, recruiting over 400 volunteers. 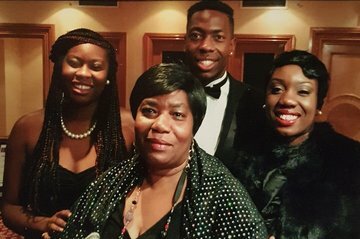 This year was a bit special as she launched the UK’s first loneliness awareness week. We’re happy about that! 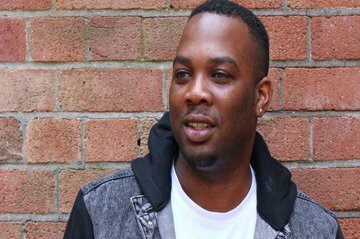 Clayton founded Street 2 Boardroom, a program to help those caught up in illegal activities to find a better path. With patience and care, he helps them see how they have legitimate skills, knowledge and experience, giving them the confidence to begin again. His work produces trust and hope – building blocks for happier lives. Nectaria radiates energy, happiness and Zumba. 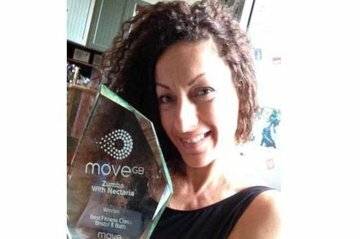 She uses her classes not only to make people healthier and happier, but also to motivate them to get involved in social initiatives and raising funds for charities. People walk away from Nectaria a little bit taller – part of a loving and diverse community from all over Bristol. 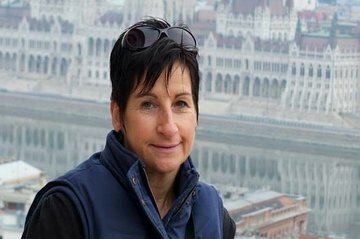 Jo is a coach, praised for disarming negative beliefs so they can’t sabotage happiness any more. 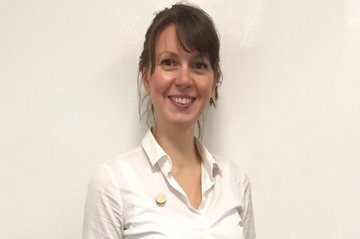 She uses her Positive People meetup to raise money for an app that improves self esteem and confidence in children, and also helps run the Bristol Yes! Group which contributes to ‘the betterment and happiness of communities’. 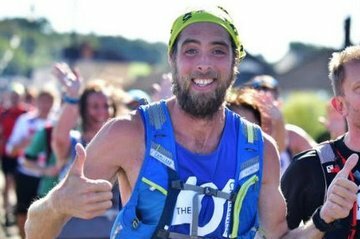 Since achieving national recognition and universal praise for running 401 marathons in 401 days last year, Ben has gone on to launch a charitable foundation to help as many people as he can. 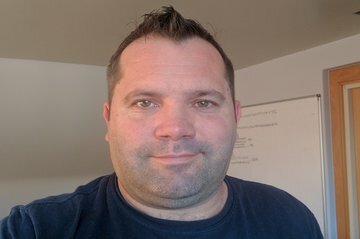 He’s quietly getting on with his personal long-distance mission to help young people gain confidence, self-esteem and improve their mental health. No sweat! 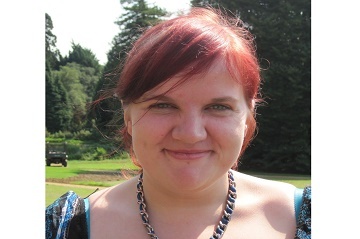 Liz has a counselling role at Bristol Mind. She helps people on the phone, in person and as an outreach worker for refugees and others in the community who need support. 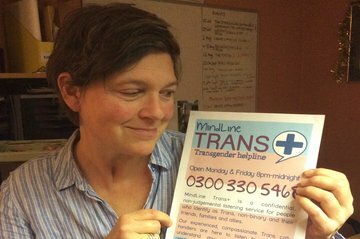 Noting the Trans+ community lacked a safe, non-judgmental and confidential listening service, Liz set one up for the South West. It’s gone so well, it’s now a national service. Happiness outreach +! Katie is such a Happiness dynamo it’s hard to know where to begin. She created Sensory Science championing STEM and SEN, helping children and adults explore science on their own terms. She foundedStyleability to make fashion accessible to young disabled adults and most recently, she started Flamingo Chicks dance school so children with disabilities or illness can enjoy ballet alongside their friends. Simply awesome! Naseem’s long standing compassion for homeless people led him to set up Feed the homeless Bristol as a charity to do what it says on the tin. 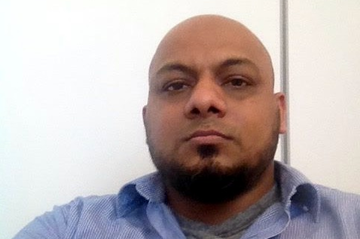 Working closely with Bristol’s two universities and other services, Naseem is a great champion for people on the street, serving up hope and care as well as 250 hot meals every weekend. 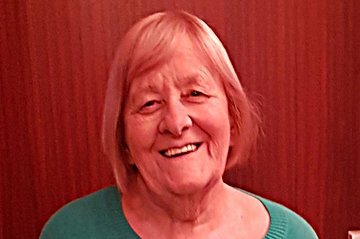 Barbara puts the life into the Somerdale Souls, organising and promoting activities for people who lack company. The group, associated with Kind Keynsham, is inspired by the idea that humans manufacture hope from simple acts of kindness. Happily, Barbara’s efforts are putting a good big dent in the problem of loneliness. 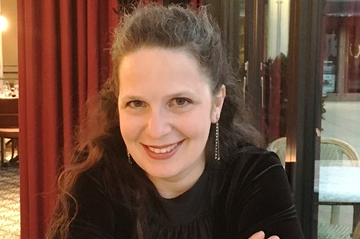 Founder and Director of the Diversity Trust, Berkeley has been on a mission to influence social change to achieve a fairer and safer society for over two decades. Reducing inequality through community cohesion, development, empowerment and leadership is a hugely significant part of making a happier city. Berkeley’s a true happiness hero. 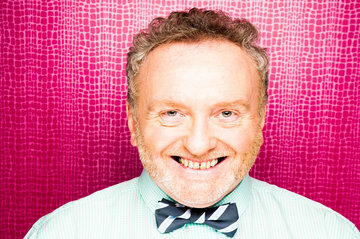 Stevie, who lives with Cerebella Atrophy (affecting coordination and balance), devotes his life to making others happy. He’s been described as ‘a ray of sunshine’ for his voluntary work with both the Walk Out Project, and with children’s reading, writing and art at a local school. Best of all is Art Wings, a place he set up for messy, creative togetherness ‘were cares and worries are lost, if only for a while’.